When you see stories in the news about identity theft they usually revolve around large-scale operations involving millions of victims. But that doesn’t paint the whole picture. Although it hasn’t received as much attention, medical identity theft is quickly becoming one of the most popular ways for criminals to hijack your personal information. According to a recent report from the Ponemon Institute, there were 1.85 million victims of medical identity theft last year, an increase of 19% over 2012 figures. While banks and other financial institutions are increasingly proactive in their efforts to prevent identity theft, it’s proven more difficult for the health care industry to keep up. Here’s what you need to know about this costly crime. Medical identity theft occurs whenever someone uses your health information for fraudulent purposes without your consent. It can take a variety of forms. For instance, identity thieves can use your information to get treatment for health issues, leaving you and your insurance company to foot the bill. They may also try to use your identity to obtain prescriptions illegally, set up credit card accounts in your name or file a false tax return. In most cases, doctors and hospitals have no way to check if someone’s history has been stolen and victims don’t realize what’s happened until their credit’s been trashed and they’re getting calls from debt collectors. Aside from wreaking havoc on your finances, medical identity theft also poses a threat to your health. If someone is using your identity to get medical care, it could result in inaccurate information being entered on your medical history. This could be particularly serious if you have allergies to certain medications or you’re given the wrong blood type during surgery or after an accident. Insurance companies also take a hit when medical identity thieves use stolen information to file false claims. Sometimes these types of scams involve doctors and other health care professionals who are out to manipulate the billing system for financial gain. This type of crime also has serious consequences for the person whose identity is being used, since their coverage may be cancelled if scammers max out their claim limits. Even if your insurer doesn’t drop your coverage, you could see your premiums increase substantially. If you’re worried about falling prey to medical identity thieves, here are some things you can do to keep your information safe. Review medical statements carefully. When you get a bill from your doctor or an Explanation of Benefits, read over it thoroughly to make sure it’s accurate. If you see a charge for care you didn’t receive or a payment from your insurance company that you don’t recognize, you should contact your insurer and doctor immediately to double-check the information. Limit who you share your information with. The only people who need to have access to your health information are your doctor and insurance company. You should never give someone your insurance details or access to your health records unless it’s related to your medical care. Maintain good records. Keeping track of your medical bills, payments to health care providers and dates you received care can help you pinpoint potential errors or misuse of your information more quickly. 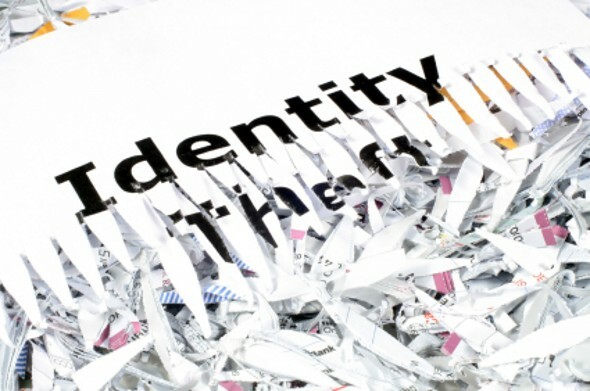 Just be sure that if you decide to get rid of any medical documents you shred them so they can’t be used against you by an identity thief. Keep an eye on your credit. You should be reviewing your credit report regularly to make sure there are no errors or inaccuracies. If someone’s running up medical debt in your name, you need to know sooner rather than later. Checking your credit is a good way to keep an eye on your information. If you think you’ve been the victim of medical identity theft, you need to take action quickly to minimize the damage. Notify the police and your health care providers so they’re aware of what’s happening. You should also get in touch with each of the three major credit reporting bureaus so they can put an alert on your credit history. Finally, you should create an Identity Theft Report with the Federal Trade Commission, which offers you certain rights while you’re trying to resolve the issue.